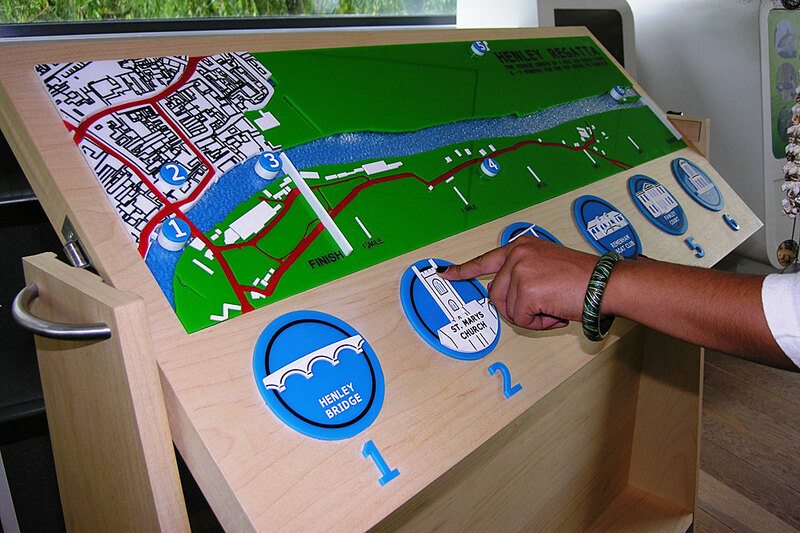 This commission was a design a tactile installation to represent the Henley regatta to a partially sighted audience. Textured reliefs, specific fonts and high contrast colours form a map of the course. 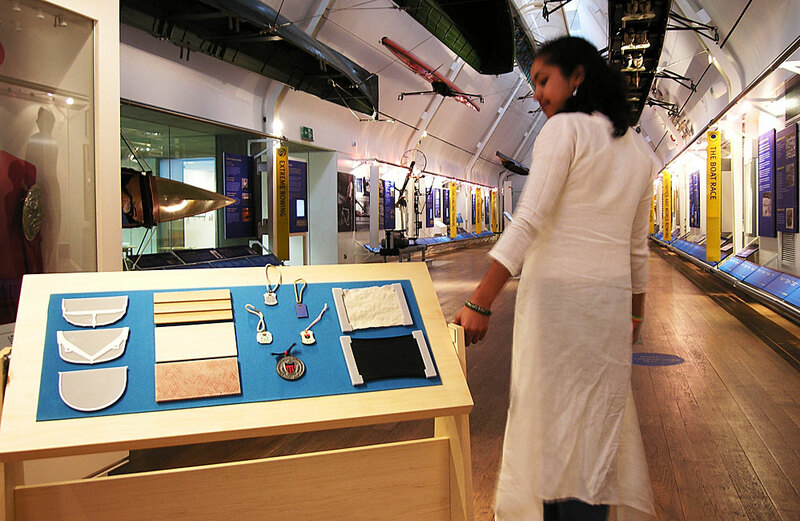 This surface rotates to present materials and historic items that can be handled directly.